Viknesh Vijayenthiran February 13, 2018 Comment Now! 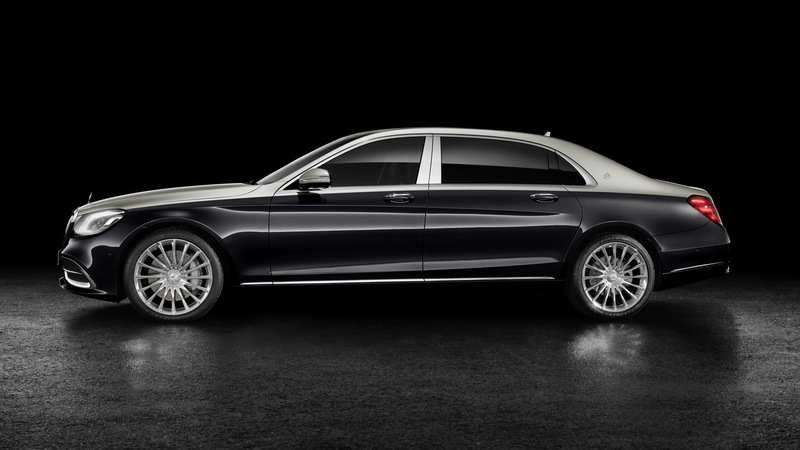 The revival of Maybach as a Mercedes-Benz sub-brand has been a runaway success. As an example, during the course of 2017 one out of every 10 S-Classes sold was a Maybach, with China, Russia and the United States gobbling up most of the cars. Mercedes, for the 2019 model year, is taking new steps to ensure that the Maybach version of the S-Class stands out just a little bit more than the mere standard version. 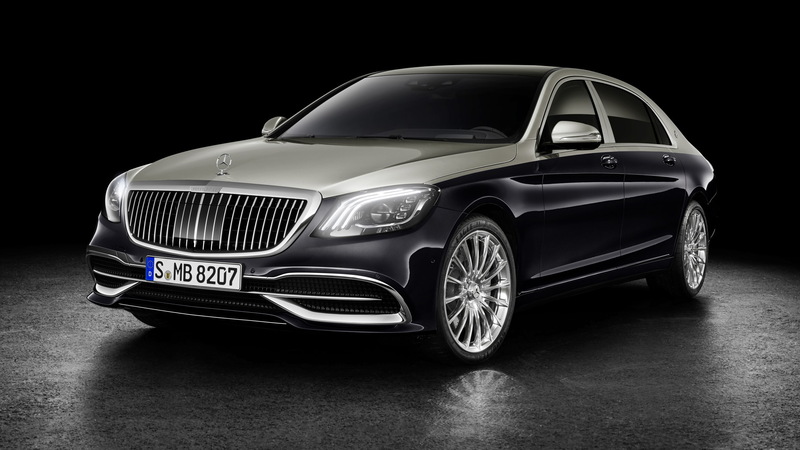 To do so, the automaker is adding a new grille exclusive to the Maybach S-Class and offering buyers the option to deck out the stretched sedan in two-tone paintwork, with nine color combinations on offer. There's also a double clear coat on offer for dark colors. Applied by hand, the process is said to create a deep effect similar to what you see in high-end piano lacquer. Maybach fans will recognize the grille from 2016's Vision Mercedes-Maybach 6 concept car, whose vertical slats were inspired by the pinstripes of a suit and will likely become a staple of Maybach models going forward. Also new are the 20-inch wheel patterns available for the car, including one set that matches the flashy wheels first seen on the 2017 Maybach S650 Cabriolet. The roomy cabin, made possible by an extra 10 inches of wheelbase over the standard S-Class (132.5 inches in the Maybach), has also received some tweaks. Here too buyers are treated to more color options and for the first time the car's contrast stitching can be ordered in copper, gold or platinum colors. Mining magnates and commodity traders are going to love it. In the U.S., the 2019 Maybach S-Class will be offered with two powertrain choices. 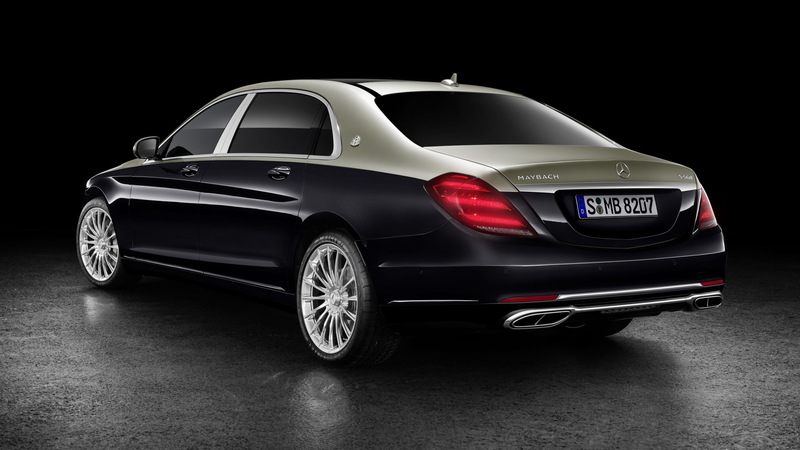 An S560 comes with a 4.0-liter twin-turbocharged V-8 generating 463 horsepower and 516 pound-feet of torque. Above this is an S650 which comes with a 6.0-liter twin-turbocharged V-12 generating 621 hp and 738 lb. Regardless of the model, you'll get 0-60 mph acceleration in under 5.0 seconds, not that it really matters in this type of vehicle. 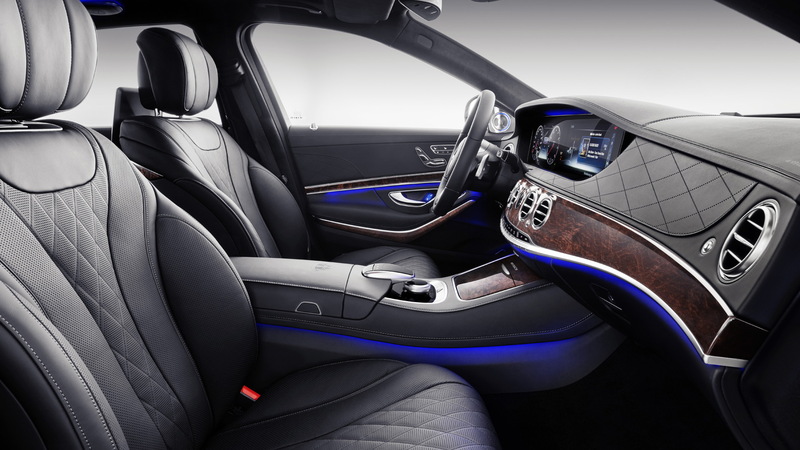 The 2019 Maybach S-Class debuts on March 6 at the 2018 Geneva International Motor Show and is due in showrooms in late summer. For more of our coverage on the Geneva show, head to our dedicated hub.